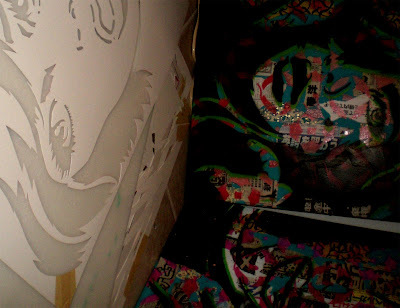 PaperMonster Solo Show Preview Pics!! ————————————————A lot of exciting things are going on and I wanted to post some very sneaky preview images of some things which I have been working on. First up to bat is the PaperMonster solo show for DirtyPilot.com. It will be an amazing solo show with a huge range of pieces on basically every surface imaginable except for polar bear skin. 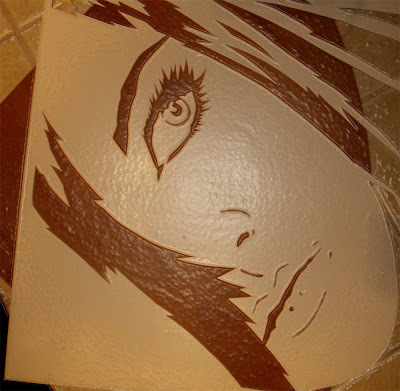 You will truly see what PaperMonster is all about!! 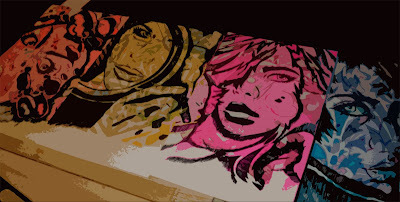 Expect to see everything from drawings to pieces on wood, plastic, and canvas. Catch some of the snaps below. New PaperMonster sticker. Catch one at your local street corner or sign post. Does anyone call collect anymore? Photoshop can make anything look like plastic!!! Is that wood grain? 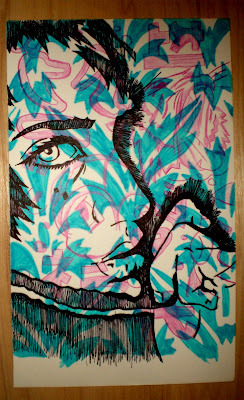 This is one of a new set of drawings that I am putting together. I focused a lot on the background detail. (4 out of ???) 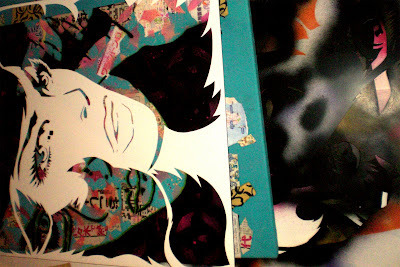 drawings which should look incredible once finished. Detail? You will just have to wait and see. What is underneath all of the cutouts?? More paper? Stay posted for more news and future preview shots before the show in August. Check out DirtyPilot.com to catch their current shows. This is an incredible post on a ton of different projects that are coming together and you should definitely check out. First my skate deck design for ADM Skateboards (http://www.myspace.com/admskateboards or http://www.admskateboards.com/ ) is in full production and I will be letting you see how it looks along with the rest of the new line from ADM Skateboards. I received a sneak peek and the deck looks phenomenal. Extremely excited!! 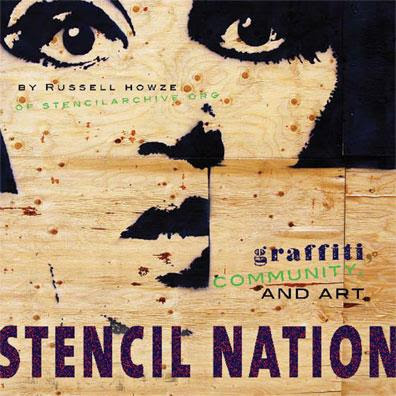 In more current news: STENCIL NATION IS NOW AVAILABLE TO ORDER!!! The book holds work from a huge list of incredibly talented artist. You can purchase the book through either site or check it out in your local bookstore. 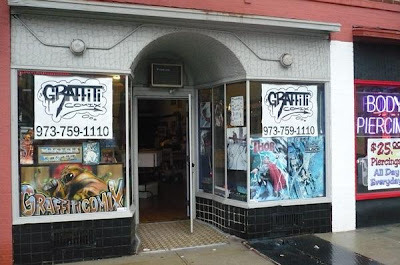 I have plans to do several window displays for the book working with Graffiti Comix (Belleville, NJ) once the book is officially release in June!!! 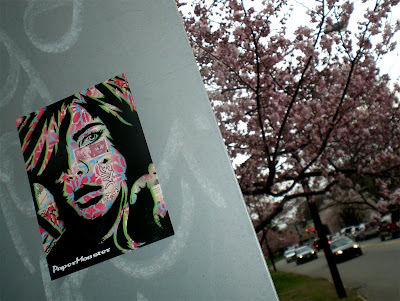 You are currently browsing the PaperMonster Stencil Graffiti Artist blog archives for April, 2008.